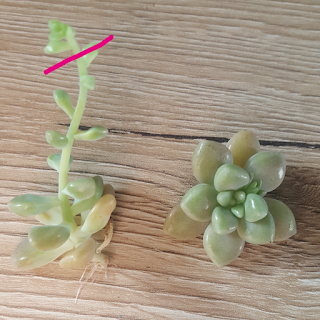 Etiolation is, in simple terms, your succulent stretching out looking for light. 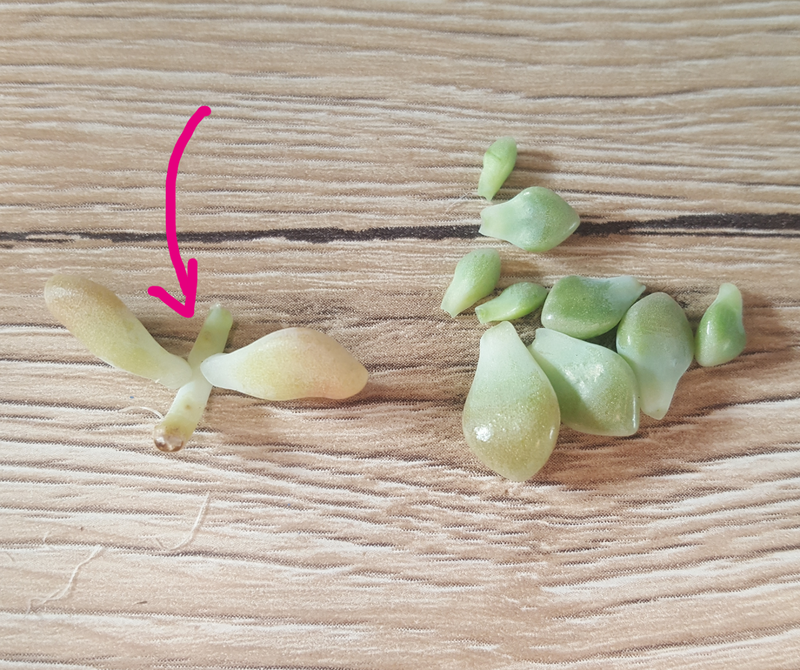 When this happens your succulent becomes misshapen, the stem can become weak and leaves discoloured. 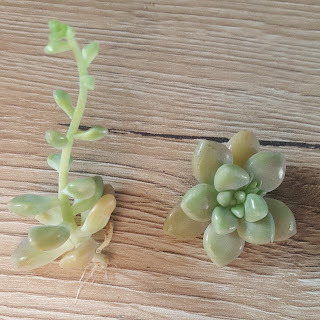 Once a succulent stretches out of shape you cannot fix it without cutting it. 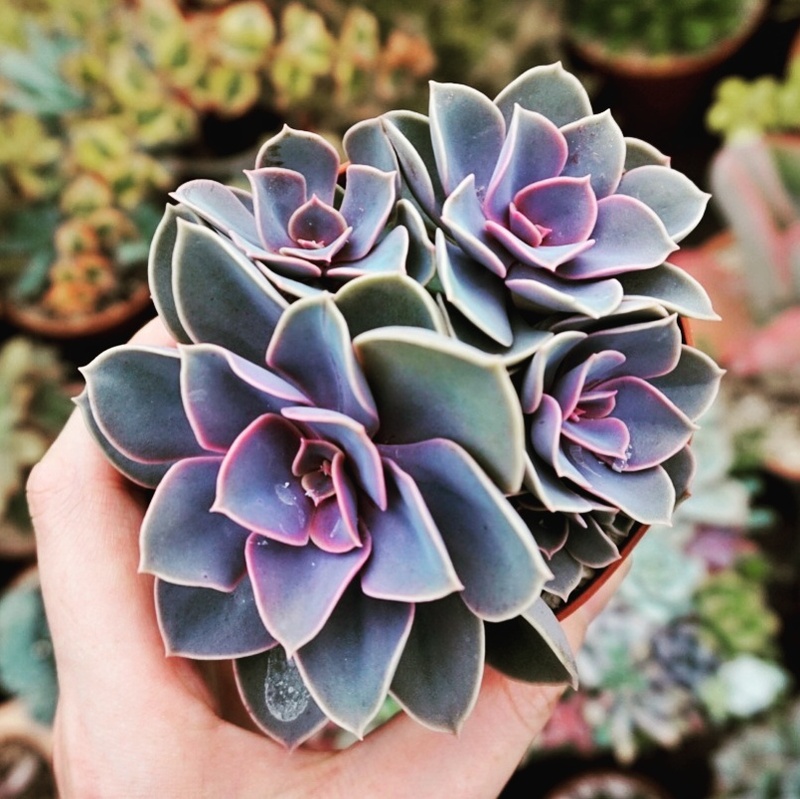 Succulents love light and they need a lot of it grow healthily. When they don't receive as much as they need they stretch out, sometimes quite rapidly in search of the light that they need. Sometimes this means they will stretch straight up other times if they are near a window for instance they may stretch to the side that the light is coming from. So how do you prevent etiolation, well the answer is quite obvious, give them more light. 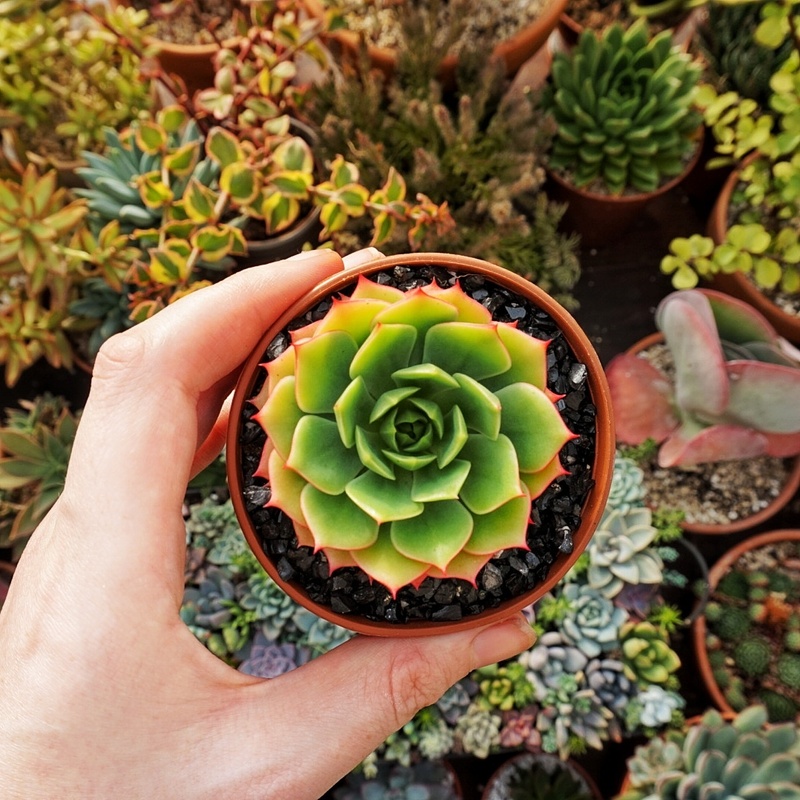 Although your succulents may look cute on your bedside table or coffee table often these places just aren't bright enough. Find a sunny spot on a windowsill or you could try a window shelf. Remember that all window sills are not made equally, the direction that your windowsill faces will effect how much light gets in, so you may have to move them from one windowsill to another. If windowsills just aren't cutting it you could investigate using grow lights. There are many different types on the market, it is a matter of finding which one you feel will work best for you. I have a few of these IKEA LED lights that I use for propagating over winter and often stick a sad looking plant under them for a few weeks to perk them back up again. are going to stretch out over winter. I don't have enough room under my lights for all my plants so just do my best over winter to keep them healthy then come Spring I use them to make lots more plants! Now you know how to prevent etiolation it is time to fix up any plants that may have stretched out already. Let's take the stretched out clavatum pictured above. 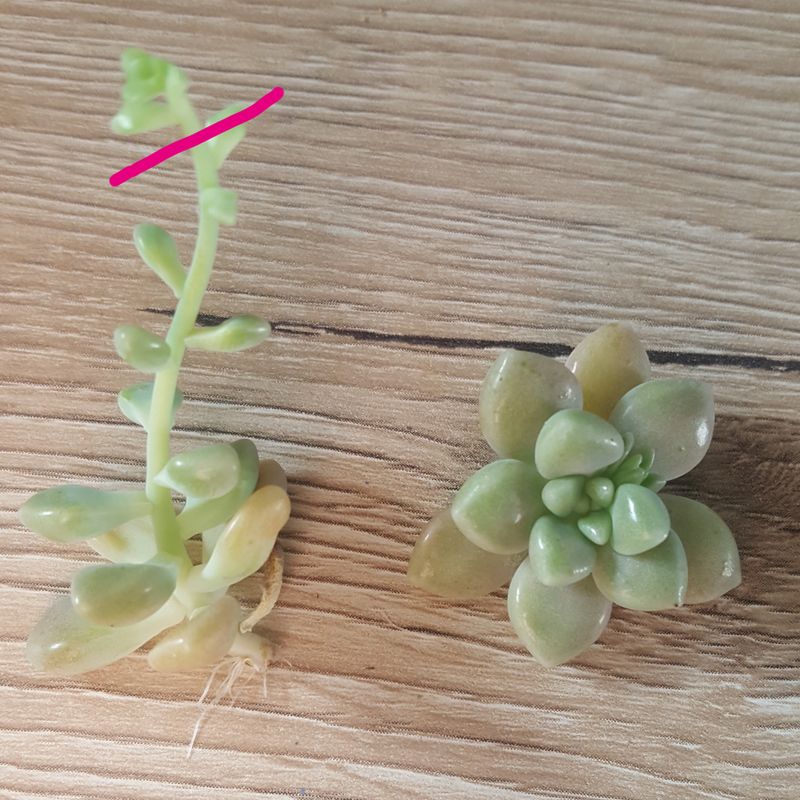 You can see that the stem has become long and weak and that the bottom leaves are unhealthy. To make pretty plants again I have taken off all the healthy leaves. I have then cut off the weak stem. 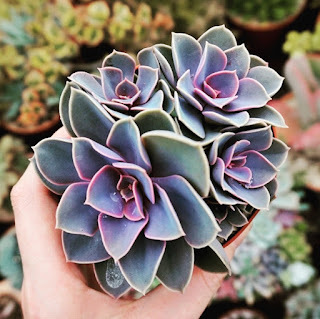 Using propagation you can grow the leaves into new healthy plants. 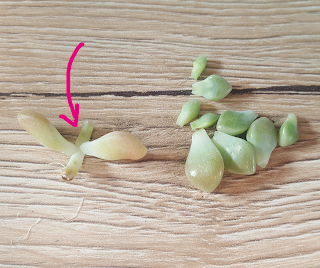 The stem should grow new plants from the place where it has been cut as the arrow shows(your stem will probably be planted already, I just used a cutting for ease of photographing, if you are using a cutting make sure you plant it). Now my plant was very stretched out but lots of the time you can also cut it at the tip where I have marked to get a little rosette cutting that you can then plant. I hope you found this helpful, if you have any questions feel free to comment or you can contact me via the links in my sidebar. Thanks for this information! most of mine are out of shape i will address it now that i know what to do.